Terry has been involved in and around the fishing industry most of his adult life. He is the President of Wired2Fish Inc and was Chief Sales and Marketing Officer of BassFan LLC before that. 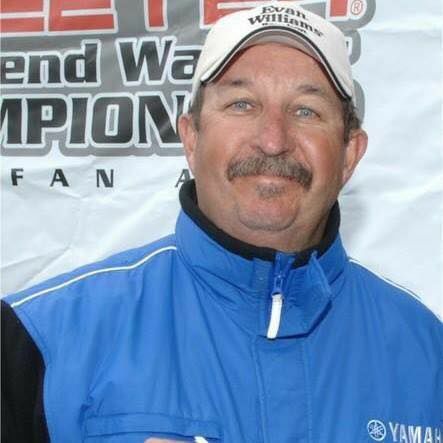 Terry was integral in starting high school fishing and has written for Bassmaster, Heartland Outdoors, BassWest and several other industry wide publications. He has done industry consulting for Lucas Oil and several major tackle manufacturers and loves to see kids involved in the outdoors. Terry started the Sam Leman EverBloom Tournament Trail and continues his work with college and high school angling. He was a sports announcer and Outdoor Editor at Bloomington Broadcasting and currently does a weekly column at the Pantagraph called Below the Waterline. Terry has been on ESPN as a commentator for the Bassmaster's Great Angler Debate and Classic Yearbooks and formed a group of outdoors people from the Sam Leman Outdoor Team who built the Sam Leman Pavilion at Lake Evergreen. Terry co-founded the Friends of EverBloom and served as President for two years. Terry still competes in tournaments and works with companies developing strategies and products for the fishing industry. With an amazingly diverse list of fishing prey, Paul is one of the most well-rounded fishing guides in the Midwest. He is just as comfortable catching pan fish as he is walleye, musky and striped bass. His passion for saltwater fly fishing also keeps him dreaming of a day when these waters aren't an airplane ride away. Paul's present sponsors are: Winterland Marine which provides him his fabulous Polar Kraft Boats, Evinrude Outboards, Lowrance Electronics, Trokar Hooks, Navionics, Frogg Toggs Rainwear, Interstate Battery, and his most important sponsors, his wife and daughter. Several years ago when I was selecting a name for my business, I chose Angling Adventures. First and foremost, I promote fun, next comes safety, followed by conversation and education. Promoting a quality outdoor expierience means doing whatever it takes to provide a fun, meaningful and, at times, educational experiences in the outdoors. Reintroducing long ago fishers and starting families off properly is my specialty; I take great pride in my teaching abilities. My guide service and shop exposes me to all sorts of folks. I try to learn what people are looking for and provide them a hassle-free opportunity to pursue that dream. Using and promoting top-of-the-line equipment adds a great deal of value to my cusomters. Every year is full of repeat customers, a few new folks and a few challenges. I look forward to it all and to what new Angling Adventures await. 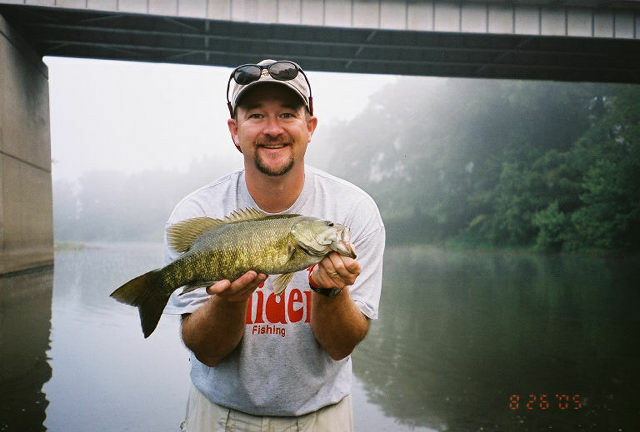 Jonn Graham, born in 1970, was destined to chase riverine smallmouth bass. He was raised two blocks from the Rock River and spent almost every free moment pursuing the "gamest fish that swims." Since catching his first "brown fish," he has been "hooked." Jonn has fished in excess of thirty different bass streams throughout the Midwest in addition to famous waters such as Dale Hollow and Pickwick Lake. When Jonn is not fishing, he is often writing his monthly column in the Outdoor Notebook Magazine. Jonn has been writing a monthly column since 1997. In addition, he does many seminars at fishing shows and club meetings. His latest venture began this past Spring, when he started Camp Smallmouth. Camp Smallmouth is a one day instructional school on everthing smallmouth. Jonn's camps take place on the Mackinaw and Vermilion rivers and were quite successful during this past inaugural season. Clients learned how to "read" a river and, as a result, began to better understand where river smallmouths live and what baits are best for fooling them. Jonn's specialty when it comes to catching smallmouths is light fine, finesse tactics. Spinning rods and six pound line is the type of equipment you will find him using most of the time. These tactics have proven successful for him all across the country with numerous trophy smallmouths taken with this type of equipment. When Jonn is not fishing or delivering seminars, you can find him at home with his wife and two children, or teaching at Irving Elementary School in Bloomington. Thad grew up next to Evergreen Lake and has been fishing it's waters since he was 5 years old. He has been a professional muskie guide, seminar speaker, and tournament angler for the past 22 years. He guides on Evergreen Lake near Hudson and is known by the locals as "the guy who finds fish when other people can't". Thad won the 2003 Illinois Director's Cup Muskie Tournament in a field of over 80 boats. He and his partner caught 5 muskies in 5 hours on the 2nd day that ended up being the winning combined total of 147 inches. In 2008 Thad was awarded the Illinois Big Fish award by the Illinois Muskie Alliance for catching and releasing the largest muskie that year in the state of Illinois. Thad is strong supporter of catch and release and has been a Member of Muskies Inc. since 2000.